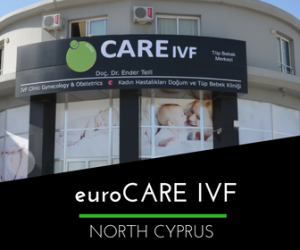 As the most prominent fertility center in North Cyprus, euroCARE IVF, is an extensive Gynecology, Obstetrics and IVF hospital located in the Turkish Republic of Northern Cyprus. 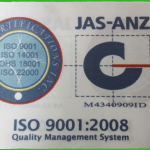 Our main focus is YOU — your satisfaction, your results, and overall — your happiness. At euroCARE IVF Clinic, we have helped hundreds of patients reach their dreams of parenthood — and to experience the joys of being a mother or father. Led by expert fertility doctors, Dr. Armağan Ulubaş, our committed IVF medical team understands the emotional hardships that accompany infertility. We tackle every case with a personalized approach — to diagnose the problem and utilize the best treatment for each unique situation. In addition to in vitro fertilization (IVF) treatment, we provide egg donation and sperm donation; along with gender selection for family balancing, which is carried out using Preimplantation Genetic Screening (PGS). Not available in most other clinics, our advanced fertility center also offers Tandem Cycle IVF and our expert urologist carries out precision surgical sperm retrieval methods, including Percutaneous Sperm Aspiration (PESA), Testicular Sperm Aspiration (TESA), Testicular Sperm Extraction (TESE), and Microdissection TESE. 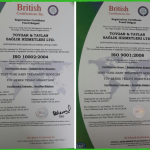 Our management team understands that one of the main reasons individuals choose to travel to North Cyprus for IVF treatment is to alleviate the burden of high treatment costs. Not only do you have the treatment cost to consider, you also have other expenses such as flights, hotels, and dining. With this in mind, euroCARE IVF keeps the treatment costs as affordable as possible for every individual. We also offer all-inclusive packages. Ask our journey coordinators for more details. Our clinic boasts a laboratory fully equipped with the latest technology and equipment, cryopreservation storage, surgical rooms, modern conveniences, private suites (including shower), wheelchair access, free parking, and Wi-Fi access. Our center also provides peace of mind with comfortable hotel accommodation options. We take care of transfers from the airport and hotel by private car and also provide the transfers for each hospital appointment. A return airport trip is also provided at the end of what we hope and aim — to be a very enjoyable experience. There are no waiting lists at euroCARE IVF in North Cyprus — so your treatment can be carried out when it best suits you and your schedule. As the leading fertility clinic in Cyprus, euroCARE IVF comprises of highly-qualified fertility specialists who continuously strive to advance treatments and give patients the child they desire — and deserve. Enriched with years of experience and ongoing research, our fertility doctors continually strive to improve our success rates and keep them above international averages. Our clinic is located in Nicosia — the very heart of North Cyprus — which embodies the economic, political and cultural center of the region. While undergoing advanced treatments, patients can discover the rich culture and natural beauty that characterizes the region.